Lovely Sunday to all of you craft lovers out there, and Happy April Fool's Day! There is no trickery here though, just a challenge. 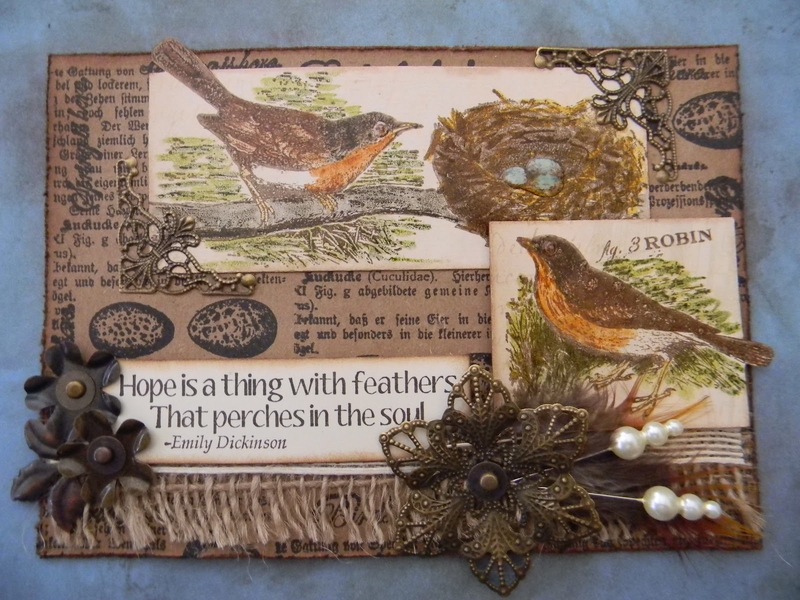 Today starts the April Artistic Outpost Customer Referrel Theme Challenge of "birds". You must use only the stamped images of AO, and you have a month to complete and link it up. The chosen winner will receive an awesome prize package. 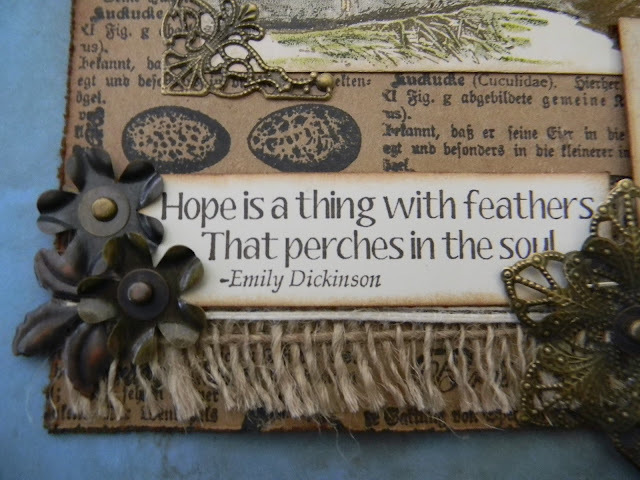 For my card I decided to go with AO's Birds of a Feather set as well as the new release Quote & Quoteables. I stamped the two bird images on packaging from 7 Gypsies, the sentiment on ivory cardstock, and the background images all in Jet Black Archival Ink. 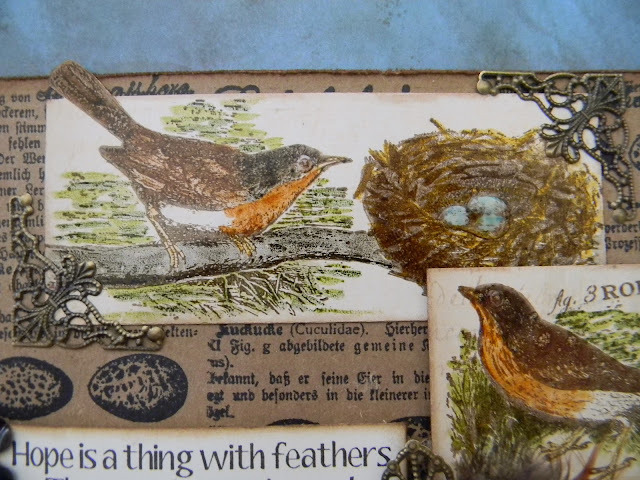 I colored in the robins and the nest using my new favorite product Distress Markers. Feathers, stick pins, frayed burlap, burlap ribbon, metal flowers, and gorgeous filigree metal embellies finished off the card, along with a little Gathered Twigs Distress Ink around the borders. Your card is so beautiful,I love it. Oooh, so gorgeous!! I love the metal embellishments. Anita, this is absolutely beautiful! I love your stamps. 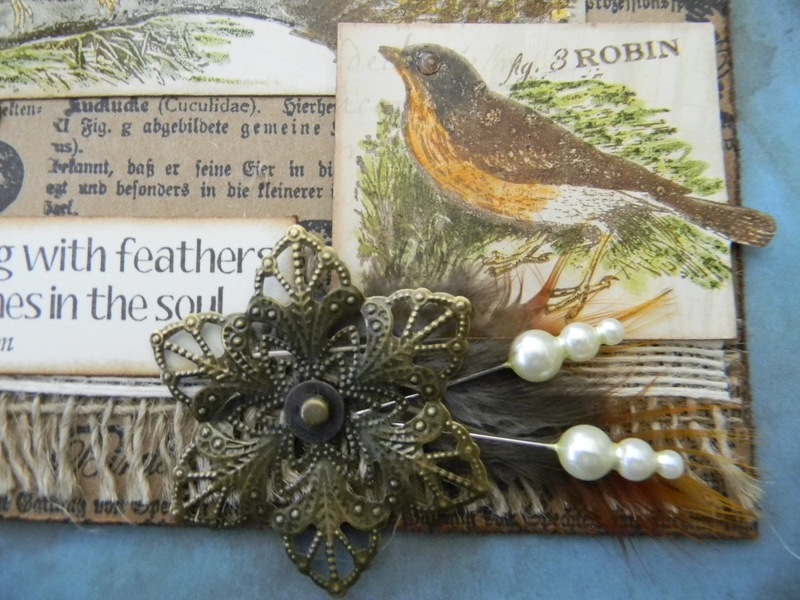 So pretty and how you've embellished them with the burlap and then metal accents....WOW! Very beautiful! Like the coloring you did! The stamps are stunning! This is wonderful! how fun and the work as always is lovely lovely lovely! How beautiful! Somehow I missed this when first posted. 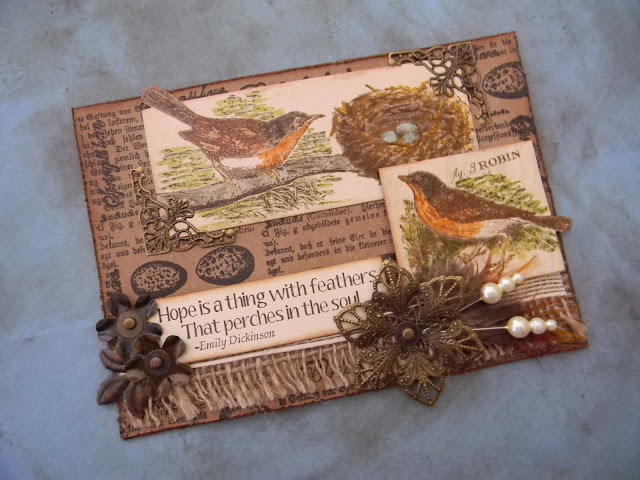 Love all the layering on top of the kraft and how you've used the burlap across the bottom.